Bringing together business users, developers and experts who are using and supporting sharepoint. Just like Microsoft Office Suite improved business processes, Microsoft SharePoint Intranets represent the next major step in the evolution of using technology to increase operational efficiency. Almost every department in an organization can benefit from an Intranet or Extranet site. This document is intended to help Executives, business managers and information system professionals lead their organizations into a new era. The document will demonstrate the breadth of opportunities and tremendous value presented by this exciting technology. 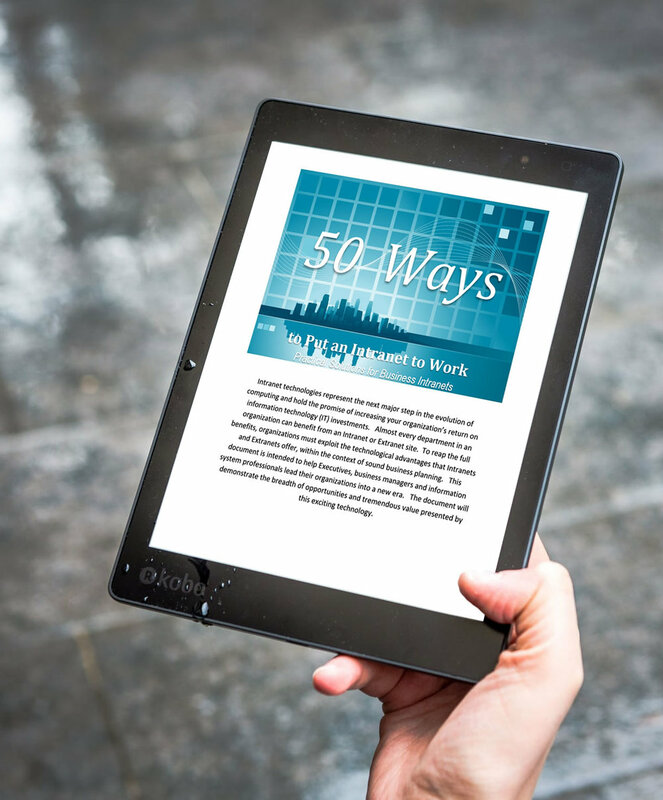 Download our FREE e-Book 50 Ways to Put an Intranet to Work in your Digital Work Place and learn how you can build your company intranet in the cloud. We'd love to keep you in the loop with helpful tips, best practices, webinars and promotions. Yes Please! I'd like to hear from JFD occasionally. I do not want to hear from JFD. under the Direction of Cynthia Colmenares, Executive Director and CEO of Jack Frost Design.